Before I decided to join Ao-koei Muay Thai camp the only comment on the Internet about the camp was "a hidden gem". My experience align perfectly with this description of the camp. It's truly traditional rural Thai place. 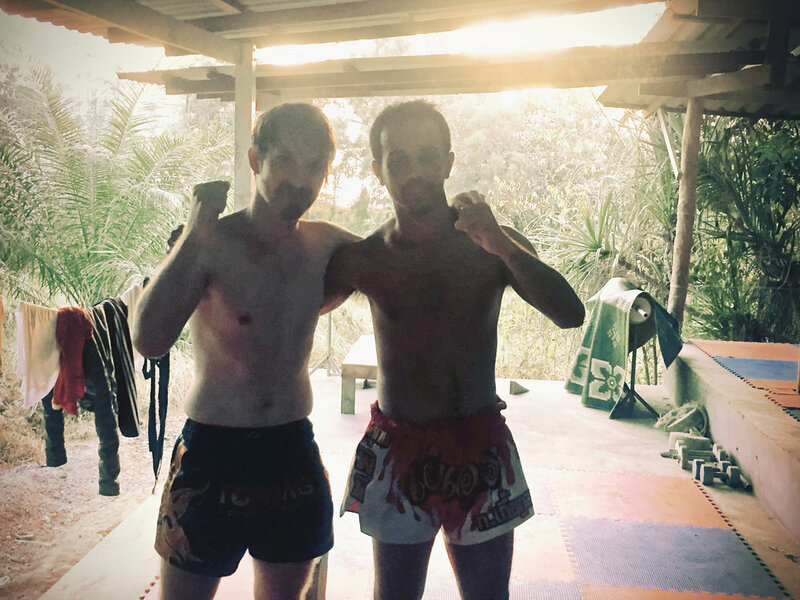 I was lucky enough to learn from 74 years old Muay Thai Boran champion, have amazingly tuff training sessions with Lumpinee champion Don, eat fishes for breakfast that were caught last night. Stories of people and families that I met, picture of a life in a villages revived after tornado or even getting marriage permission from mother of three daughters in Thai massage barn will stay in my memory for long time.